Forth from its gold, like streams from sunny snows. And if I write for England, who will read? His perfect wine within the privy closet! Only what England paints its face to show. And lust excused as “natural selection”. And Clytemaestra whittled to a whimper! The austerities of Loyola? to seek! But — let us giggle at some fulsome cleric! “The age refines! You lag behind. “God knows! 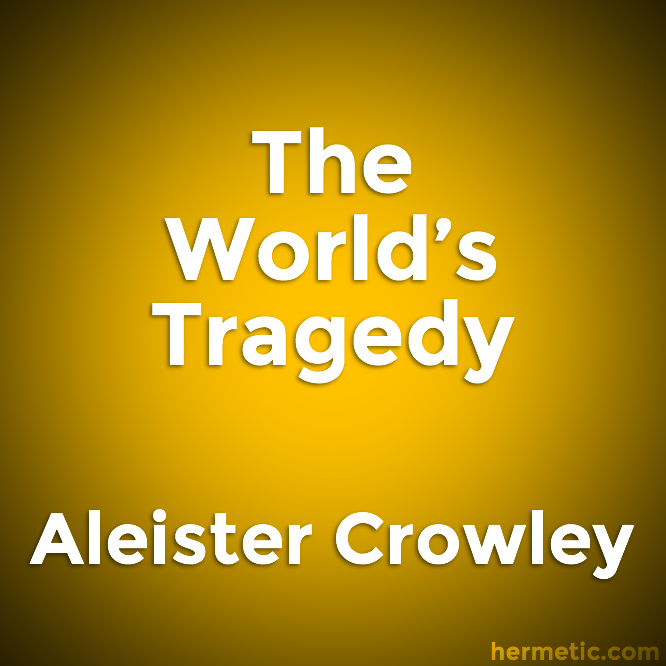 That Crowley knows you as you are — that fret. He buys not doctored dung for violets! All lies, and lies; all lies, and lies, and lies! Amazed at their twin brothers the Chinese! Shocked at the vice of the Mongolian coolie! Hope Christ may save us from the Yellow Peril! Whose cotton-mills are crammed with British slaves! Their days in keeping “aliens” from our shores. And run a maisonette in Maida Vale. And maybe compromise the Prince of Wales. And, feeling safe, goes out and hires a boy. Your titles — oh! how proud you are to wear them? The impotent (contented) pay to gloat. In Piccadilly, deadlier than Aden. Duty means church, where he thanks God he's done it! Show me the men that have not bowed to Baal! Priest who are celibates — outside the choir! The creeping Jesus — Caution! we may shock it! Who calls me blasphemous, unchaste, and rude! Come to sweet air, poor sirens of the stews! A pox on all these yammering Yahoos! Winged with the dawn and with the star-stream shod! Till all the world is drunken with delight. Denied Blake bread — are you fed full on these? Dogs! is there nothing you can do to Crowley?